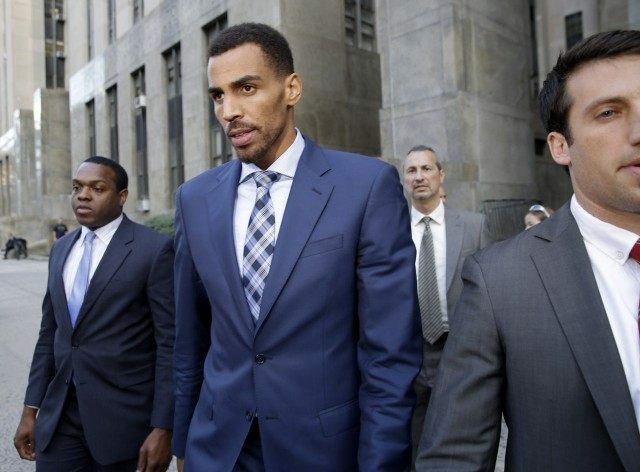 Thabo Sefolosha plans to file a $50 million lawsuit against the NYPD after a jury acquitted the Atlanta Hawks wingman of multiple charges, including disorderly conduct and resisting arrest, involving an altercation with police outside a New York City nightclub. During his scuffle with the law enforcement officers, according to Yahoo Sports, Thabo suffered a broken ankle. The shooting guard/small forward hung out with Indiana Pacers forward Chris Copeland in the early hours of April 8, when an attacker stabbed Copeland in the abdomen, the New York Daily News reported. Two other woman were also stabbed during the melee. All three recovered. Sefolosha, 31, and Pero Antic who plays basketball in Turkey, 32, although not part of the fracas, “refused to move when police tried to set up a crime scene.” Both were charged with obstructing justice, disorderly conduct, resisting arrest, and menacing, reported the New York Post.